The Mini 0801 Car Camera Dash Cam. 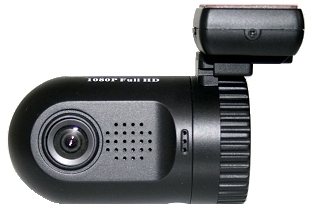 The Mini 0801 car camera or dash cam as some people refer to them, has been around now since 2012. 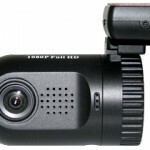 Having been through a number of car cameras during the review process we decided to initially focus on this one because of its seemingly popular reputation among the community of people knocking around the net who use car cams. First impression on unpacking was its weight. You can feel it has a slight dead weight to it and a solid build feel which is always reassuring in this field as some of the car cameras reviewed felt completely “empty” and “loose” if that makes sense – as though they would break into a thousand pieces if dropped on a carpet. Not the case with the Mini 0801. You can tell this is a “non-branded” product though, it lacks a decent user guide, instead, a small booklet written in poor grammar is included, which may get you through the setup process, or may not, depending on how good you are with computers. (That’s another thing – if you want to use a car camera such as the 0801 or any other for that matter – learn how to use Windows Explorer to transfer data from your card to the PC hard drive if you do not already know how). Fitting it into the car was a doddle, there is a small sticky pad on the GPS mount (which is also a power connector for those with or without the GPS version) which just peels off (just – quite tricky actually) and you press this onto the glass. Take care when doing this because if you don’t get it in the right position the fist time and there is no spare sticky pad, then you are in a world of hurt because these pads are hard to come by. Also note that the Mini 0801 does not hang completely square with its mount when connected. So its a good idea to offer it up to the windscreen whilst connected to the block but without power before you decide to remove the sticky pad. A couple of degrees rotated anti-clockwise from level will see the mount slightly off-level, but the camera level with the road ahead, which is what you want. A 4m cable comes with the camera which connects the base to the power in the vehicle. One end in the camera mounting block, the other end in a lighter socket. If your lighter socket is live irrespective of whether the engine is turned on, you have a problem, because you will need to switch the camera on and off when required rather than rely on its ability to detect application or loss of power to automatically start and stop recording when the engine comes on or goes off. This isn’t a quirk of the Mini 0801, rather car cameras as a whole operate like this so you need to be aware which ever direction you take. One way around this (if your lighter is live all the time with the ignition off) would be a hardwire. Whilst the 0801 does not come with a kit, these are available and if wired through the fusebox ignition will enable the auto on/off ability on the camera. Having set the camera up, taken it for a spin then downloaded the videos, we were pleasantly surprised at the excellent quality of the video – this is after all – what you need from a car camera. The video was sharp in terms of both day and night recordings and number plates were easily visible from the car in front. Not so from those coming the other way (mostly) due to the speed, but if a car hits you head on then the camera will most likely get the number plate. All in all – a great little camera, we have no idea how long it will last as this is pretty much dependent on frequency of use, where one driver might do 40,000 miles per year, another may only do 2,000 – so completely variable. We will pop some videos up once we have a youtube account. - Case Has Print on it.